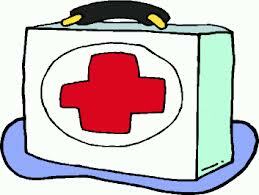 People find it necessary to have emergency kits in their homes and workplace. In case a natural disaster should come, we all want to continue functioning. That crisis kit is usually filled with items such as flashlights, batteries, water, candles, etc… The kit is set aside in a safe place, where the owner is aware and everything placed inside for the most part is up to date. Right? 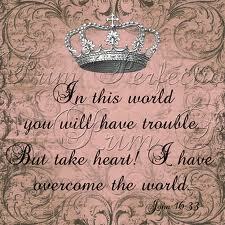 In other words we are not exempt from the troubles of the world. However the One we serve, Jesus, has already overcome the world. Take comfort in that but also be aware: human beings WILL have struggles! So why wait till a crisis appears in your life to try and survive? Prepare your “Life Kit” now! A kit filled with Love. Inspiration. Freedom. & Energy. Just like your emergency kit, when you know where your life kit is you’ll be able to continue perservering. We don’t always have to pick up the pieces when something unexpectedly goes wrong. All the names and numbers of people who I know I can call on. People that are smarter than me, genuinely listen and never judge, are always honest and make me laugh hysterically . Pictures and videos of happy moments, with those that I love. Books that offer positive insight. A picture of my younger self. What’s going to be inside of yours? !